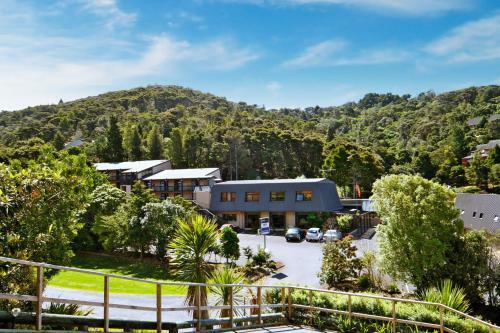 Set in sub-tropical gardens, Te Tiriti Resort offers a relaxing escape situated in Waitangi in the Bay of Islands. It features an outdoor pool, a hot tub and a tennis court. Te Tiriti Resort conveniently located next door to a Countdown supermarket. Kingsgate Hotel Paihia offers a memorable waterfront location, just 100 metres from Paihia wharf. The hotel offers views across the Bays brilliant blue sea and out to Russell. 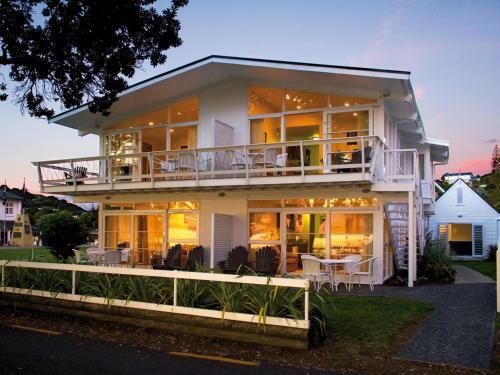 Paihia Beach Resort & Spa offers luxury boutique accommodation just 20 metres from picturesque Te Tii beach. All guest studios and suites feature a private balcony or patio offering stunning views towards the Bay of Islands. 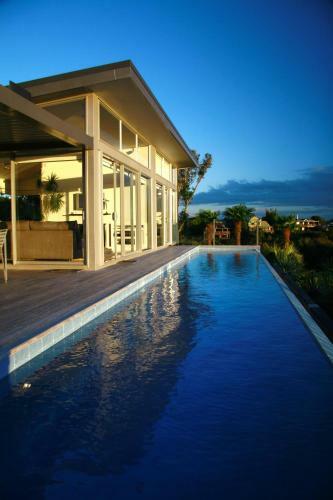 Flagstaff lodge is a small property offering luxury accommodation in the village of Russell, in the Bay of Islands. Guests can enjoy a peaceful environment, good spa facilities and free Wi-Fi. Situated just outside Russell, Eagles Nest offers spacious and elegant villas with free Wi-Fi access and full kitchen facilities. Each has a large private terrace, and some villas have a private swimming pool. 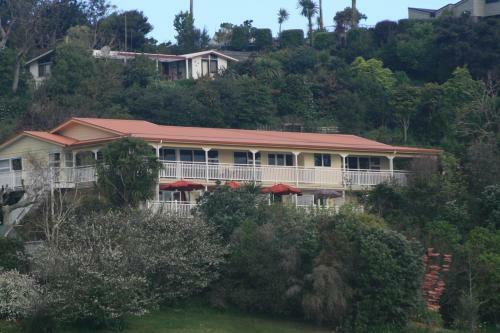 The Aarangi Tui Motel is located in the heart of Paihia, only 150 metres from the wharf. All studios and apartments have satellite TV and self-catering facilities. 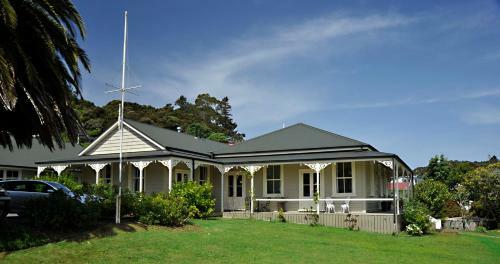 The Ash Grove is located in the Bay of Islands, just a 3-minute drive from the Paihia Waitangi waterfront. It offers free Wi-Fi and a peaceful garden setting with a large swimming pool and a hot tub. The Duke Motel offers modern accommodation only a 5-minute stroll from Russell's waterfront. Free car parking is included. The rooms at The Duke Motel include satellite TV, and bathroom toiletries. 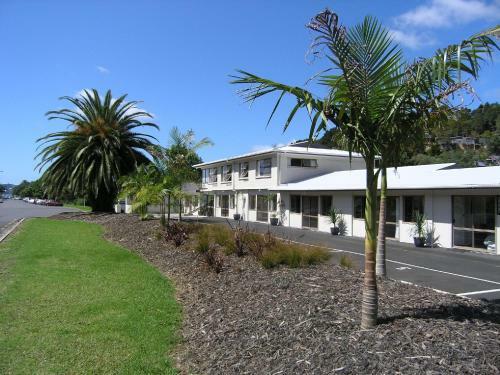 Located in a quiet position on Kerikeri Road, the colonial-style Kerikeri Park Motel features modern decor and is set on 3.5 acres of lovely park like grounds. Guests enjoy a spacious free parking area and a BBQ area on request. 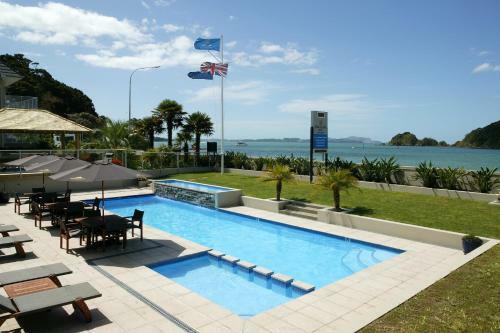 Bay of Islands Holiday Apartments are located in Paihia, offering easy access to all of the Bay of Islands charms. It has an outdoor hot tub in a private bush setting. Edgewater Palms Apartments is located opposite Paihia's main beach and offers an infinity lap pool set amongst landscaped tropical grounds. Guests enjoy free unlimited WiFi. All rooms at Edgewater Paihia have views toward the ocean. 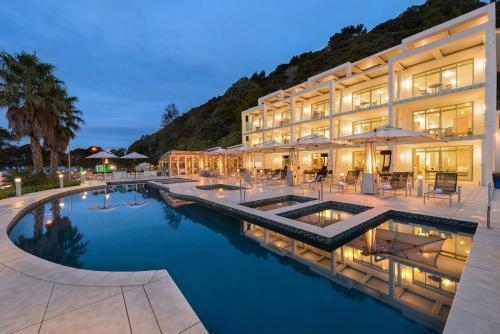 Featuring a spa pool, outdoor swimming pool and restaurant, Tanoa Hotel is located just 5 minutes’ walk from the Paihia town centre. 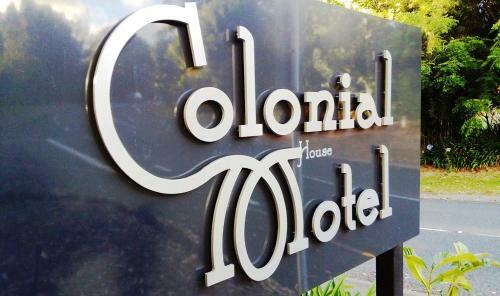 It offers comfortable rooms with en suite bathrooms. 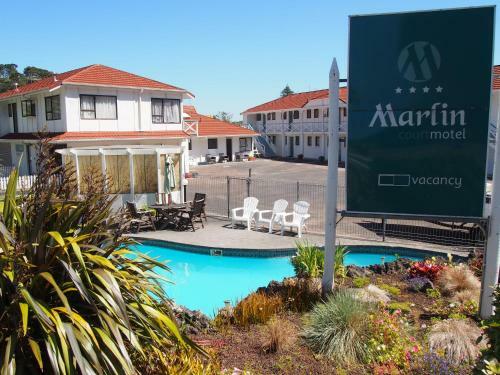 Just 150 metres from Paihia's main beach, Marlin Court Motel offers free Wi-Fi for all guests, and free off-street parking for cars and boats. It features modern self-contained accommodation, plus a swimming pool and barbecue area. 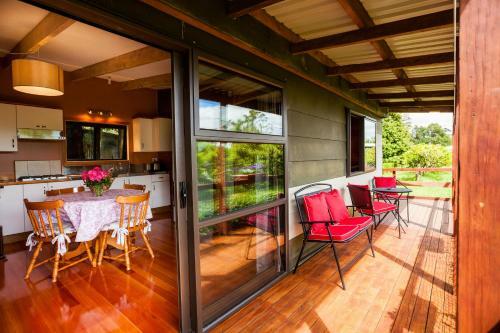 Just 10 minutes' walk from the Kerikeri River, the peaceful Colonial House Motel boasts free WiFi, free onsite parking and a saltwater pool surrounded by subtropical gardens. Guests are offered a glass of wine and freshly baked cookies upon arrival. 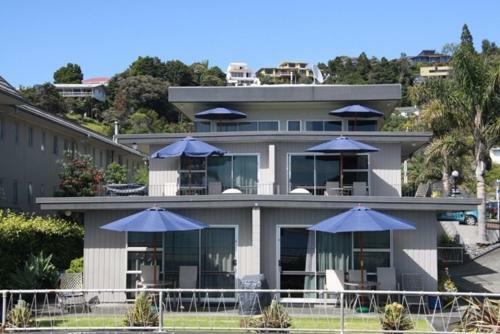 Situated on Paihia’s waterfront, this motel offers self-contained apartments featuring a private balcony or patio with views over the beach and the Bay of Islands. Each has a full kitchen and satellite TV. 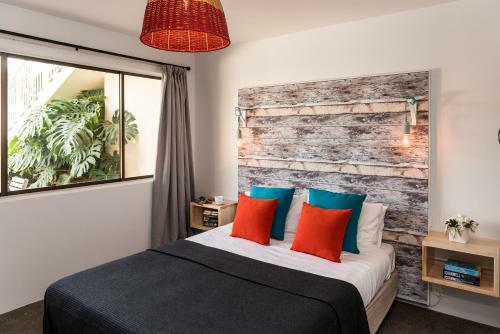 Just 100 metres from Paihia Beach, this motel offers self-contained accommodation with access to a shared patio, a garden with outdoor seating and free WiFi. Some rooms have sea views, and BBQ facilities are available upon request. Featuring an outdoor pool, a sunny terrace and free airport transfers, Relax a Lodge is set on 11 acres of organic citrus orchards. It offers heated rooms with free Wi-Fi. Guests can visit the farm animals on-site. 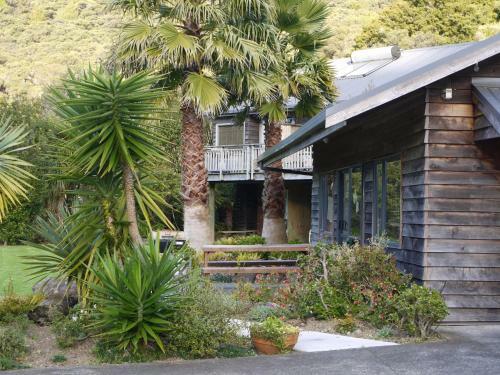 Just 450 metres from Kororareka Bay, Bellrock Lodge offers studios with a private balcony and lovely bay and town views. It features free Wi-Fi, plus free diving, fishing and snorkelling equipment hire. Averill Court Motel offers spacious self-contained accommodation, only 150 metres from Paihia Beach. All rooms are built around a central pool area with spa pool, swimming pool and sun terrace.